When a person dies with a will, his or her estate often must pass through the probate process. 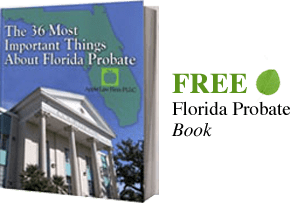 In Jacksonville, a Probate is opened when the probate court appoints a personal representative to administer the decedent’s estate. This can be a long process that involves many steps and can be administered by the probate court and the estate’s personal representative. With contested matters, a Probate in Jacksonville can often be subject to litigation, which means a party to the probate may need to hire a probate litigation lawyer. The probate litigation attorneys at The Law Firm of David M. Goldman deal with many types of probate matters. We can represent beneficiaries, creditors, and the personal representatives. All of our Jacksonville probate litigation lawyers, practice in the Jacksonville and Ponte Vedra area, but the attorneys are prepared in most areas of Florida. The probate lawyers at our firm primarily deal with will and trust contests, will construction, elective share litigation, breach of fiduciary duty, and estate accounting issues in Jacksonville and Ponte Vedra Beach. Florida places some very stringent rules on probate administration. There are several different parties to probate, and each party has specific rights in the legal process. One type of probation litigation is called a will contest. In Florida, an heir can contest a will or trust or several reasons. On of the reasons that can be used in a will contest, or probate litigation deals with the invalidity of the will or trust document. There are many rules that a will must follow to be valid. 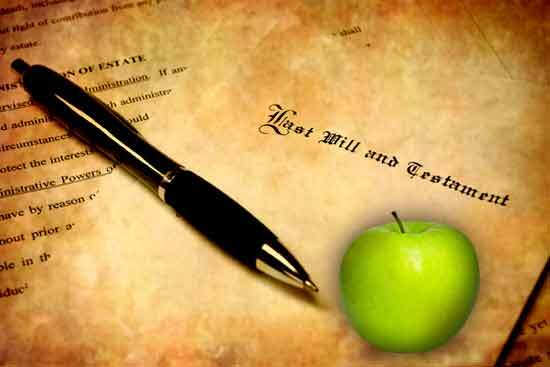 For instance, the testator must sign the will, which is the person that makes the will. Two people must also witness and sign the will in the presence of each other as well as the testator. Further, only an original will is valid. If a will is invalid because of the document’s construction, then several things can happen. A court could allow a former will to control the estate, or the will could pass according to intestate succession. Intestate succession is the process where a person’s estate passes according to Florida law. This means only certain family members will receive the estate and will receive only a certain percentage of the estate. An estate is usually opened before litigation. One important date is determined when the personal representative sends out the Notice of Administration. A notice of administration is a formal document the probate courts require the personal representative to send to all parties with an interest in the decedent’s estate. Creditors to the estate, or any beneficiary of the estate, must object to the probate proceedings within a particular time, or these persons will forever be barred from a bringing a lawsuit due to the statute of limitations. A person has a limited time to respond after he or she receives a Notice of Administration. Once the notice has been served, a person may bring a lawsuit under a variety of claims. For instance, if the decedent made the will while he or she was not of sound mind, then an interested party could challenge the will for lack of Mental Capacity. An interested party may also sue under the theory of Undue Influence. Undue influence is when a beneficiary to the will coerced the decedent into making the will benefit the beneficiary. Other types of challenges to a will include: a will made under duress, intentional interference with an expectancy, or the will had an invalid construction. Once an individual is served with a Notice of Administration 20 days passes, most promises to settle a dispute are usually unenforceable. In addition to a will contest, there are several other grounds for Probate litigation in Florida. These include a determination of how the will should be interpreted, a determination of who the heirs are, elective share litigation, actions for breach or removal of a fiduciary or a surcharge action to recover funds lost because of a breach of a fiduciary duty. For larger issues (those more than $500,000) we will even consider a contingency fee or hybrid contingency fee agreement where there is a lower hourly rate and a percentage of the recovery on Florida Probate Litigation.